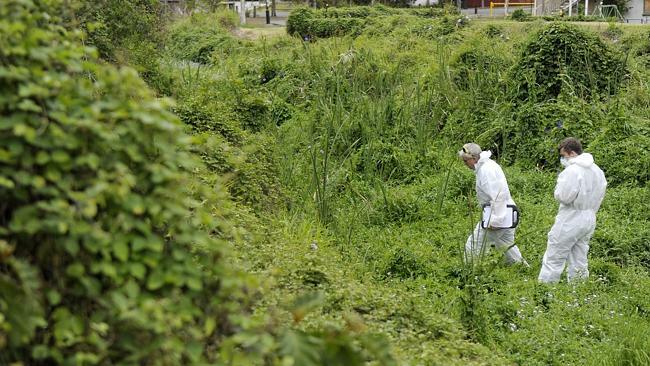 RESIDENTS living near a former asbestos factory in Brisbane have been told there is no health risk. Tests commissioned by a State Government taskforce at five homes in streets around the old Wunderlich plant at Gaythorne confirmed “trace amounts’’ of asbestos in dust in the roof cavities but not at dangerous levels. But investigations will continue to establish whether people who lived nearby during the 47 years the factory was operating have increased incidences of cancers or other asbestos-related diseases. “This is excellent news for the residents of Gaythorne but our task is not over,’’ Local Government Minister David Crisafulli said. Environmental officers took air samples and compared them with benchmarks from another suburb. “The results from the air testing have shown that for all houses tested, the level of airborne asbestos fibres in the samples are similar to other areas in Brisbane that are not near any known asbestos manufacturing or disposal sites,” a taskforce report says. In the next phase of the investigation houses in a 1km radius of the old factory, which closed in 1983, will be tested to establish if there is any ongoing risk from clouds of asbestos dust that used to be carried by the wind. “We will be conducting further testing in homes and surrounds to give the community the certainty they deserve,” Mr Crisafulli said. Resident Tanya Gibson welcomed the latest results. “I feel a lot more comfortable that the air I’m breathing is no worse than anyone else’s,” she said. Another resident, Cheryl Holmes, said she was happy with the news that there was no risk today but said she was “more concerned about the children that grew up here”. Former residents recall climbing on piles of waste at the factory, taking broken sheets to use in cubby houses and playing in a local creek that was contaminated with asbestos. Daryll Bellingham, who lived in the same street as the factory for about 12 years, said he was keen for the results of ongoing analysis of cancer registers and other health records to see if there was a cluster of cases among former residents of the suburb. “I am concerned. I would be really quite sure I would have asbestos on my lungs, as my father did and my mother has,” he said. Under a Labor plan estimated to cost $100 million, asbestos would be removed from 1,200 Victorian schools by 2020. The proposal was made in the latter stages of the state election campaign. Labor conceded it was an ambitious target; the Coalition suggested ultimate cost would be closer to $1 billion. Test results for asbestos on the Apollo Bay foreshore have come back positive, however widespread contamination has not occurred. Environmental Protection Authority (EPA) chief executive Nial Finegan said the debris found in soil used by the Otway Coast Committee was asbestos. He said the asbestos sheeting had not contaminated the soil, which had been used in landscaping works around the foreshore. “It will be much easier to clean up,” Mr Finegan told 774 ABC Melbourne’s Steve Martin. He said clean-up notices had been issued to the coast committee and golf club. “We will work with them… to get it done as quickly and as safely as possible,” said Mr Finegan. A 50-square-metre section of the Apollo Bay foreshore has been covered and cordoned off. The soil had been provided to the Otway Coast Committee by a council contractor. Otway Coast Mayor Frank Buchanan has said that responsibility for the matter lies with the Otway Coast Committee, not the council. Cr Buchanan said the soil had been inspected before being used but “no asbestosy-looking stuff poked out”. The Otway Coast Committee has been contacted for comment. Prior to test results being known, committee chairman Andrew Buchanan said they had acted immediately on all directions from the EPA and were keeping the community informed of all developments. 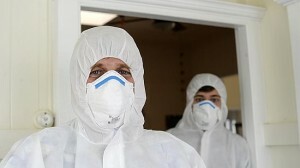 The ACT Government has moved to improve the codes of practice for the handling and removal of asbestos. The changes have partly been prompted by the Mr Fluffy loose-fill asbestos removal program and are designed to achieve higher standards of safety for workers who come into contact with the dangerous substance. The product known as Mr Fluffy insulation was pumped into the roof spaces of more than 1,000 Canberra homes between 1968 and 1978. Despite a Commonwealth-funded clean-up program in the 1980s and 1990s, remnant asbestos fibres were still being found in the wall cavities and sub-floors of some properties. Workplace Safety Minister Mick Gentleman said mandatory training for workers was one of the important changes to the codes of practice. “We want to make sure that not just for Mr Fluffy, but all dangerous substances, workplaces have opportunities for people to be trained correctly,” he said. Mr Gentleman said the impact of Mr Fluffy had already been felt across the ACT. “I’ve worked with these dangerous substances myself in a previous life,” he said. “At that time we weren’t made aware of the dangerous situation regarding that substance. Anyone who does not comply with the changed codes of conduct will not be able to hold a licence to conduct the removal of asbestos. The other change to the codes of practice included more stringent requirements about who may remove asbestos from a home or workplace. Asbestos removal teams have cleared about 120 sites on Rottnest Island of potentially hazardous material after public concerns prompted a full sweep of the popular WA holiday destination. As a result, the Rottnest Island Authority said there were no longer any sites in the two highest-risk categories listed on the island’s asbestos register released Wednesday. In September, a Perth man found fibrous material outside bungalows in the Bathurst area, north of Thomson Bay.The authority fenced off the area and sent samples to the mainland for testing. It was later advised the substance was white asbestos. It said the material was intact and non-friable, and in this condition, was of very low risk to anyone staying in the units or passing by. However, the Australian Medical Association said at the time “low risk” was not good enough and urged the authority to remove any asbestos in the island’s accommodation. The authority said it decided to organise the sweep on top of the October survey of sites. It organised a ground-based survey by external asbestos consultants who checked the whole settlement area and the rest of the island. 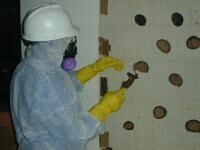 Asbestos removal teams then took away material from sites identified as potential sources of asbestos fragments. The authority said the material was removed from about 120 sites, mainly old buildings, regardless of whether it was asbestos or not. The RIA has taken the advice of external consultants and has identified and remediated asbestos used in buildings. The island’s 2012 asbestos register contained nine sites categorised as A1, the highest category of risk, where access must be restricted and the material removed under “fully controlled conditions”. That usually means workers in head-to-toe jump suits and breathing masks. The current register has no A1 sites and no A2 sites, where access is also restricted and the material must be removed using “appropriate control measures”. There are still 41 sites listed as A3, where there must be a planned removal of any asbestos and it must be sealed and screened off. The asbestos is typically in external wall cladding and fibre cement fences in the staff cottages and other buildings. The vast majority of sites on the island are in the much lower risk A4 and A5 categories. The Governor’s Circle heritage huts, for example, are listed as A4 with fibre cement ceilings and asbestos wall lining. Rottnest Island Authority chief executive Paolo Amaranti said it was committed to cleaning up any asbestos, which was used extensively throughout the state before the 1980s, in the best way possible. “Since 2002 the RIA has taken the advice of external consultants and has identified and remediated asbestos used in buildings, and removed all asbestos roofing in holiday units,” Mr Amaranti said.